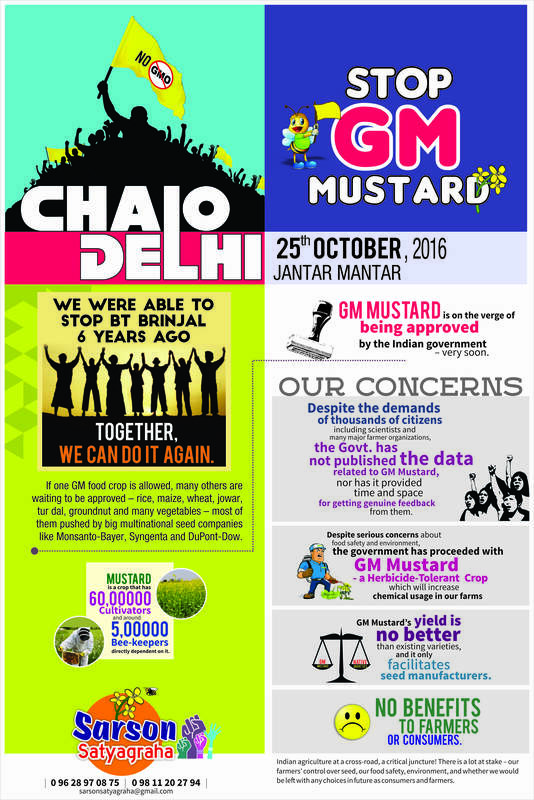 New Delhi, July 30th, 2014: The Coalition for a GM-Free India today demanded that the government be decisive in stopping all approvals for field trials of GMOs (Genetically Modified Organisms) in the country. The Coalition, consisting of more than 400 groups across 22 states also reminded the Bharatiya Janata Party government of its promise in the election manifesto of taking a precautionary approach towards open releases of risky GMOs. Reacting to the continuing flip-flops on the matter by the Union Minister for Environment, Forests and Climate Change Prakash Javadekar on the matter, the Coalition pointed out that policy consistency is an essential part of the good governance that BJP promised the country. The Minister’s statement in the media yesterday – that the government has not taken any decision so far on the numerous GM crop field trial approvals that Genetic Engineering Appraisal Committee (GEAC) under his ministry had accorded – had kick-started a controversy as he had earlier in the day assured a delegation that field trial approvals have been kept on hold. “Its unfortunate that the BJP government is getting hamstrung by technocrats in GEAC who are continuing with the policies of Manmohan Singh government, and are neither accountable nor answerable to the citizens of the country”, said Rajesh Krishnan, Convenor, Coalition for a GM-Free India. He further stated that “It is high time that the Environment Minister steps in and clears the air on the haste with which GEAC has been approving field trials of GMOs, especially after the Parliamentary Standing Committee on Agriculture as well as the Supreme Court-appointed Technical Expert Committee (TEC) had strongly recommended against such field trials”. The field trials of GMOs are the first environmental release of untested, unknown new organisms in nature. Experiences from our country as well as elsewhere show that GM field trials can lead to contamination of regular seed and food supply chains . The potential of such trials of risky untested organisms in open air to irreversibly contaminate regular crops, along with the mounting scientific evidence on the adverse impacts of GM crops on human health, environment and farm livelihoods was highlighted by the Parliamentary Standing Committee as well as the TEC. What was equally critical is the inadequacy of the regulatory system to assess the impacts of GMOs as well as control them if they go out of hand. There is no liability regime in place for addressing risks that are inevitable. It was all these reasons that led both the Committees to recommend against any open releases of GMOs, including for field trials. The last round of approvals of field trials by GEAC on 18th July 2014 also comes at a time when the Supreme Court is scheduled to have a final hearing on the final report of its TEC. While GEAC continues with its approvals, state governments including BJP-ruled ones have repeatedly said that they will not permit such field trials in their states. In a latest development, the Rajasthan State Agriculture Minister has made a public statement that he will not permit any release of GMOs in the state . Madhya Pradesh and Chattisgarh have also been denying permissions for doing field trials, along with many other states. During the time of the debate around Bt brinjal, the first GM food crop that came up for commercial approval, 13 state governments including many ruled by BJP like Gujarat, Madhya Pradesh, Chhattisgarh etc, citing various concerns had formally opposed the commercial release of Bt brinjal. The Coalition for a GM-Free India urges the new BJP government to be consistent with its position on GMOs and put in place a policy direction for the regulation of risky technologies like GMOs. This should have biosafety and national interest as its primary mandate as advised by the Parliamentary Standing Committee on Agriculture. · BJP during the time of the previous UPA government had endorsed a demand for GMO-Free India in various ways, and echoed the concerns raised by citizens against open releases, including field trials of GMOs. In the past, on many instances including the huge public rally on 8th August 2013, on the eve of Quit India Day last year, where thousands of citizens from across the country joined hands to demand GMOs and Monsanto to quit India, senior leaders from the party had committed themselves to support the demand from the people of the country to keep our food, farms and environment free from GMOs . · Seven BJP members were part of the Parliamentary Standing Committee on Agriculture that had unanimously recommended against open releases of GM crops. 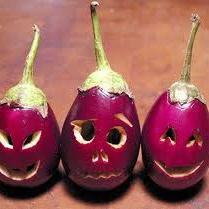 · Similarly, several BJP-ruled state governments have taken a precautionary approach to GMOs. Further, given that this government states its commitment to the federal set up in India, it is only consistent now that they respect the disinclination of state governments to go in for GMO trials. · Consistency is also demanded given that BJP made express promises in its election manifestos (both in 2009 and 2014) centred around a precautionary approach, which incidentally is at the heart of the Supreme Court PIL too. · Consistency is also required in terms of the mandate of the Environment Ministry (of protecting environmental resources and biosafety) on the one hand, and the need to curb the mindless promotion of GMOs that the regulators do on the other hand. · Finally, consistency between Ministries is important too, given that the Agriculture Minister had expressed a view very similar to the main recommendation of the Task Force on Agricultural Biotechnology (led by Dr M S Swaminathan), set up by the Government of India in 2003 – in its report in 2004. This Committee said that transgenics should be seen as a last option when other alternatives are not available or feasible. I support the GM-Free India Coatition. I do not support any GM Open Field Trials for the fear of contamination of surrounding environment. I do not support GM Field trials until regulation is in place for Penalizing Contamination and detriment done to Nature, People has some Compensation in place. I do not support GM Companies Monopolizing the Seed Market and forcing the farmers to go for cost intensive methods of excessive use of pesticides and buying expensive seeds when they still depend on rains to get the same yield as ordinary seeds. I do not want India to become slave to GMCompanies and support Seed Sovereignty and Food Sovereignty for India. Indian people as Consumers and Indian Farmers as Producers should have the right to choose whether they want to consume GMCrop based Food, whether they want to use GMSeeds that have no established long term scientific evaluation on the wholesome generic, economic and ecological relational impact of GMO on sustenance of precious life supported by harmonious ecological cycles. « Why are Open Air Deliberate Releases of GMOs in the name of Field Trials a matter of concern?